Cypress essential oil is derived through the steam distillation of twigs, stems and needles of the evergreen tree known as cypress. 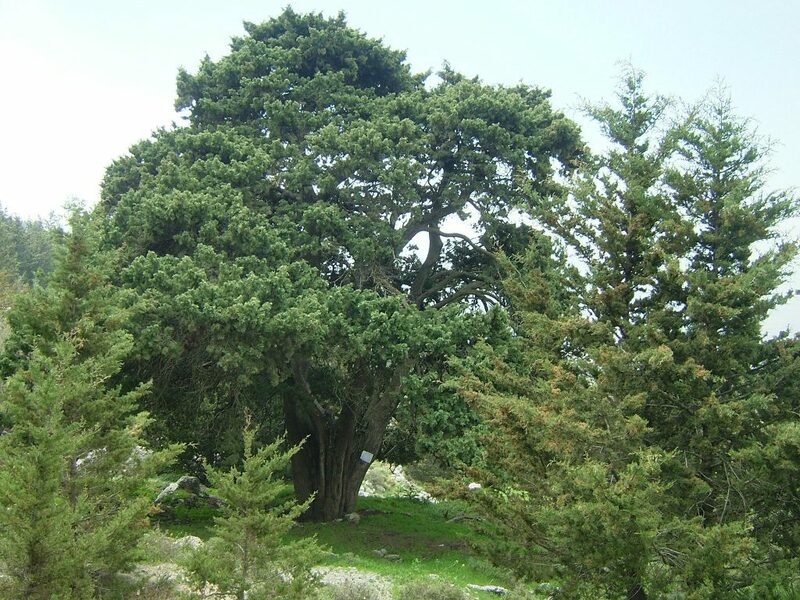 There are many historical references of cypress from ancient Egypt, Greece and other Mediterranean civilizations where its soft wood was used for building homes, boats and even wood statues. With the many aromatic compounds that make up cypress oil, together they create a calming but energizing effect particularly helpful for lowering stress and anxiety levels. Research shows that inhaling cypress oil promotes physical relaxation by stimulating the parasympathetic nervous system. This has the effect of lowering your heart rate and breathing rate, improving digestion and helping your body recover from stress. If you have trouble sleeping or need some anxiety relief, you can use cypress oil as a mild sedative to enter a more restful state . Cypress oil is an effective pain reliever that can also control cramps, spasms and inflammation. It’s helpful for relieving pain caused by arthritis, sore muscles, carpal tunnel syndrome and injuries. It boosts blood flow and flushes out fluid retention and toxins like lactic acid when you apply it topically. This helps injuries and sore muscles recover and heal faster while reducing pain in the meantime. Cypress has natural astringent properties, which means it causes tissues and blood vessels to contract. This has a variety of beauty and health applications. By tightening your skin, it shrinks pores and prevents sagging and wrinkles. If you experience hair loss, you can massage cypress oil into your scalp to tighten hair follicles and prevent hair from falling out. Cypress oil can also help with gingivitis by tightening gum tissue and killing oral bacteria. Another beauty benefit of cypress oil’s astringency is its ability to diminish varicose veins. Varicose veins occur when blood in the legs isn’t flowing adequately back up to the heart, causing blood vessels to swell and widen to the point that they protrude noticeably. Gently applying cypress oil directly to varicose veins with a cotton ball causes the blood vessels to constrict and send the blood back upwards. The bactericidal and astringent properties in cypress essential oil helps you control acne outbreaks and reduce the shiny glow of oily skin. Combine 20 to 30 drops of cypress oil with a 4 oz bottle of witch hazel and apply it as a toner after washing your face. Let it dry on its own and don’t wash it off, so that you can dry up acne, shrink pores and reduce your skin’s natural oil production. Cypress oil is great to have on hand when you need to treat a minor wound, like a cut, scrape or open sore. Its astringency will help stop the bleeding while its antimicrobial properties keep it clean. In fact, one of the plant compounds in cypress, called camphene, is present in many antiseptic creams. By boosting the production of collagen, cypress oil helps wounds heal faster. Through the same mechanism, it helps diminish scars and stretch marks. Cypress oil can also diminish cellulite, which is caused by fluid retention, low collagen levels and poor circulation. By boosting circulation, promoting perspiration and acting as a diuretic, cypress oil helps your body flush out toxins. Needless to say, this has compounding benefits on your health. By preventing toxic buildup, you’re able to keep your liver and kidneys healthy, prevent acne and other skin problems, and even feel more energized. Adding cypress oil to your daily moisturizing lotion is a great way to absorb its detoxifying properties for a gentle and subtle cleanse. Cypress oil’s antioxidant content provides protection against oxidative stress. Amazingly, these benefits can enter your bloodstream when you inhale its aroma. In a study that assessed the benefits of cypress essential oil for your liver, researchers found that the compounds cosmosiin, caffeic acid and p-coumaric acid in cypress oil protected the liver against toxicity and helped it maintain healthy bile secretion levels . Camphene, an active component of cypress oil often used in over-the-counter medicine, has been shown to stop the growth of various strains of bacteria and yeast . Using cypress oil as a natural antibiotic can help you battle a cold or flu. It’s also great to use in homemade all-natural cleaning products, as well as DIY personal care products like body wash.
Cypress oil is also helpful when you have a cold, flu or respiratory illness like bronchitis, because it has decongestant and antispasmodic properties. By inhaling cypress oil, you not only get its antiviral benefits, but also you can stop an unproductive cough and expel mucus from your lungs. While some essential oils can be taken internally, it isn’t advisable to ingest cypress oil. It’s best enjoyed as an aromatherapy oil, which you can add to massage oil, homemade lotion and other DIY products. Or, add a few drops of cypress oil to an essential oil diffuser or to your bath water when you want to relax. For pain relief, apply cypress oil diluted in carrier oil to the site of pain. To help fight off a respiratory or sinus infection, add a few drops to steaming hot water and inhale the vapor, or create a salve for your chest by mixing cypress oil into petroleum jelly.